Being comfortable on your bike is important, and once you have the correct bike size and set up for your style of riding, the next most important thing is the saddle. Saddle fit is a combination of science, biology and luck. One man’s sofa is another man’s razor blade, so beware of advice from other riders. Both men and women have problems with saddle fit, and it comes down to the problems associated with sitting on soft bits with important nerves running through them, while the muscles around them are being worked hard. The saddles fitted to new bikes are average sized, proportional to the bike. 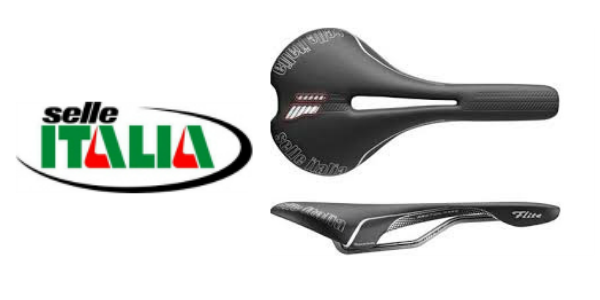 For many people this is the saddle they will stick with and have no problems. For others, the search for a better saddle starts on the first ride. 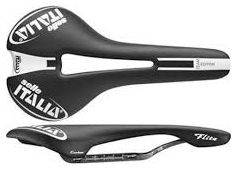 We supply a range of saddles and have two different sizing processes. In addition, some saddles are provided with a 30-day money back guarantee, so you can try them at no risk. Sportourer has paid attention to the demands of those many thousands of people who love cycling, love nature and are worried about the future of the environment. Everything they do is designed to help our planet. From manufacturing processes to materials, from distribution to packaging. Sportourer is starting a Green Revolution in the world of cycling. In adopting its Biox philosophy Sportourer has made the ethical choice in favour of developing eco-responsible solutions that will safeguard our future. Biox is the first material obtained from castor oil, a natural renewable resource. Castor beans grow in semi-arid or desert areas requiring little water and have low environmental impact. The use of renewable resource materials requires less processing stages thereby reducing the amount of energy used in production and reducing CO2 emissions considerably. Sportourer is leading the way with the new FLX range, the first saddles on the market with a high percentage of plastic derived from castor oil. A number of saddles within the range give an option of a 30 day money back guarantee. 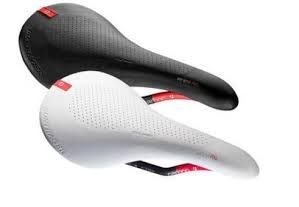 Bontrager saddles come in three widths for men and three for women. We have a gel pad to measure your pelvic width at the Ischial Tuberosities – your “sit bones” - and this width dictates your saddle width. There are a range of saddle styles to choose from as well, so this system should lead to a saddle suitable for you. 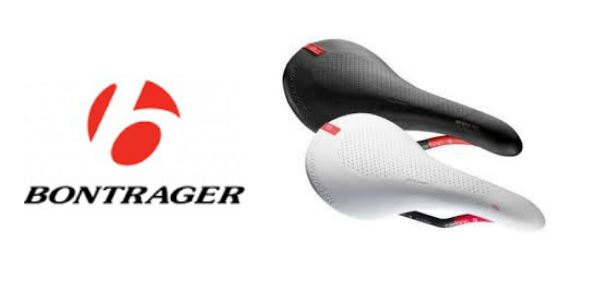 All Bontrager saddles come with the 30-day money back guarantee. Built around five postures and three contours, the new Bontrager InForm BioDynamic saddle collection has something for everyone, from the upright cruiser rider to the horizontal professional TT racer. The five postures are outlined with simple graphics matched to the pressure zones that Bontrager found through pressure mapping, high speed video recording and human computer modelling. The data was parsed by mechanical and biomechanical engineers to develop the saddle shapes around the pelvic region:To get the best result from Bontrager saddles we recommend you visit the store and we can measure your sit bone width to ascertain the correct width of saddle. All saddles are provided with a 30-day money back guarantee, so you can try them at no risk.